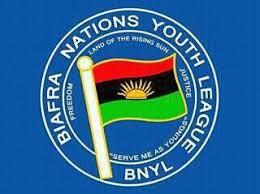 Biafra Nations Youth League, BNYL have raised fresh allegations against the Nigerian government. BNYL has alleged that the northern leaders in collaboration with the federal government allow citizens of neighboring countries bordering northern Nigeria to participate in Nigeria elections. National Leader of the group, Princewill Chimezie Richard said the presence of some Governors and supporters from Niger was an evidence to his claim, he said it has been like that since the history of Nigeria. The BNYL leader thus linked the recent order of the army Chief to clamp down on Pro Biafra groups inorder to scare away voters in the Southeast and Southsouth away.